Give your friend or loved one the gift of creativity! 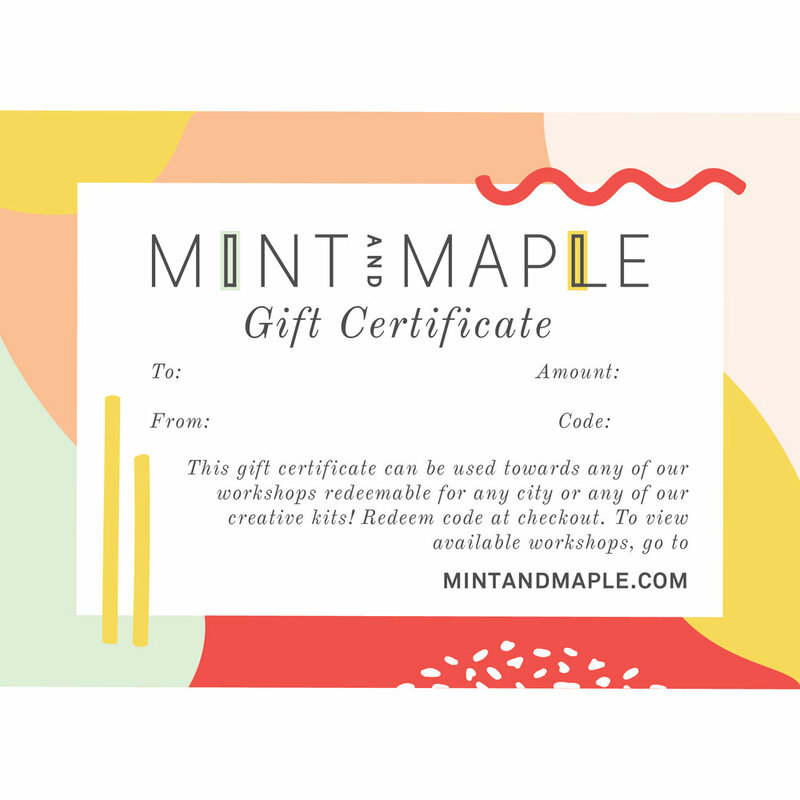 Mint & Maple gift cards are redeemable for any class, in any city. Surprise someone across the country or, better yet, bring your bestie to class with you! You can also use a gift card towards The Art Journal Kit! Art journaling is a way to capture experiences with both words and illustrations. You can use it as a daily journal, a travel journal, or however your imagination leads you! But it’s about so much more than just creating something beautiful. It’s a process of slowing down, observing the details, and seeing the world differently.